Home » How can I watch BBC iPlayer using my Apple TV? How can I watch BBC iPlayer using my Apple TV? Update: December 2015 – The blog post below refers to the second and third generation Apple TV. The 4th generation Apple TV launched in September 2015 has it’s own App Store. 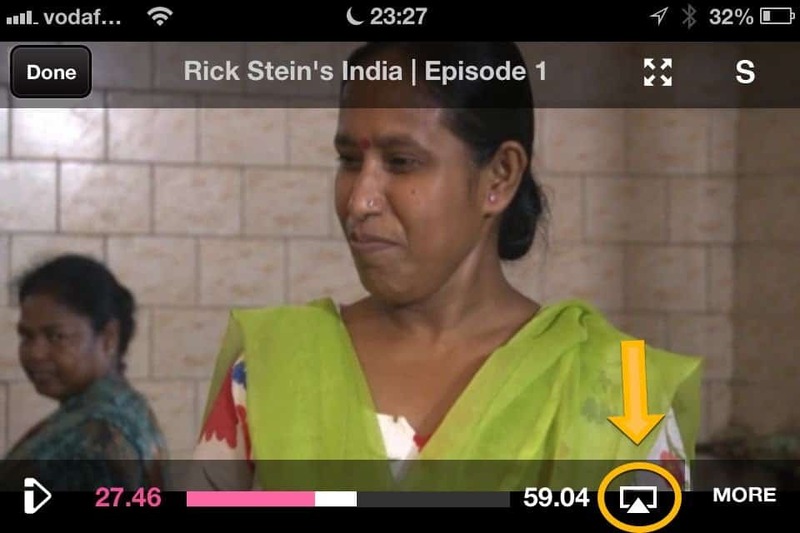 In early December 2015 the BBC launched their own native Apple TV 4 BBC iPlayer App. You can simply download and use this from the Apple TV App Store. At this time there is no mention of this being ported back to the earlier Apple TV devices and this doesn’t seem likely. If you are still using one of the earlier Apple TV units then the blog post below will still work very well. It’s really easy to use BBC iPlayer with the second generation Apple TV but to do it you’ll need an iPhone or iPod Touch. Just download the BBC iPlayer App free of charge from the Apple App Store. It’s a really great App. I really like the favourites function so you can mark the programmes you are interested in so that you can quickly get to them through the favourites menu. Check you’ve got the latest version of the BBC iPlayer application installed. To do this just find the App Store icon on your iPhone and make sure there are no pending updates. When you start to play a programme you should then see the Apple Air Play icon on the bottom right of the display as shown above. Just press this and then select your Apple TV device from the list. If you don’t see your Apple TV device in the list then do a quick restart on the Apple TV. For some reason mine seems to drop off the network when it goes into power save mode. To do a restart go to the General menu on the Apple TV, scroll down to the bottom of that menu and select restart. If you then try the Air Play icon again you should see your Apple TV device and a few moments later the programme will start to play through your TV. At this point you can press the off switch on your iPhone to save the battery and you can control iPlayer using the Apple TV remote control. For me this works brilliantly and we use it all the time now to watch iPlayer in our sitting room. It would still be great if one day the BBC and Apple could cooperate to bring iPlayer directly onto the Apple TV but for now this is nearly as good.